Become an ALC pack member using our convenient online system. Our indoor and outdoor spaces give pups plenty of room to romp around in. Included in our slumber-party style boarding! 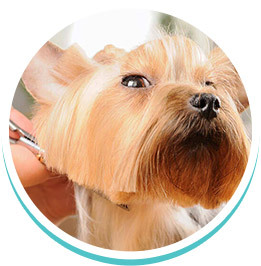 Our pet groomers are trained stylists, ready to cater to the needs of your pet whether he or she is in for a bath and fluff or a styled cut. 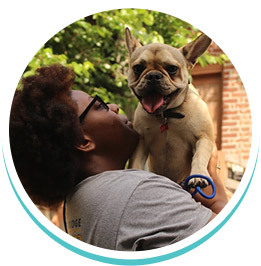 Let your pup socialize, exercise, and enjoy our indoor and outdoor facility while you’re at work! Our slumber-party style setup allows your dog to move about freely with canine friends, under the watch of 24/7 caretakers. 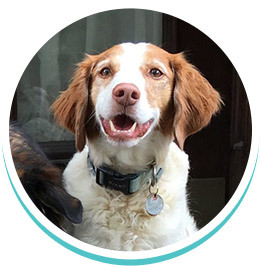 Our team of professionally-trained walkers are educated to handle and exercise your dog. We never crowd group walks — safety first! 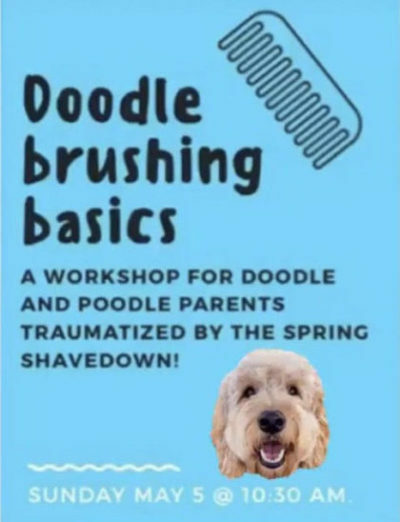 Calling all doodle and poodle parents! Do you love the look of your fluffy, curly-haired friend and want to learn how to preserve this look throughout the course of the year? 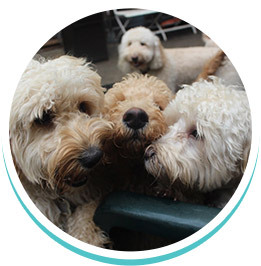 Join us at a one-hour workshop at Animal Loving Care where our groomers will give you the tips, tricks (and tools, if you choose) to achieve a sustainable long-haired coat for your doodle. There is both a totally FREE option for you to come watch and participate in the workshop as well as one that will send you home with all the tools you need to maintain your dog’s coat from now on!